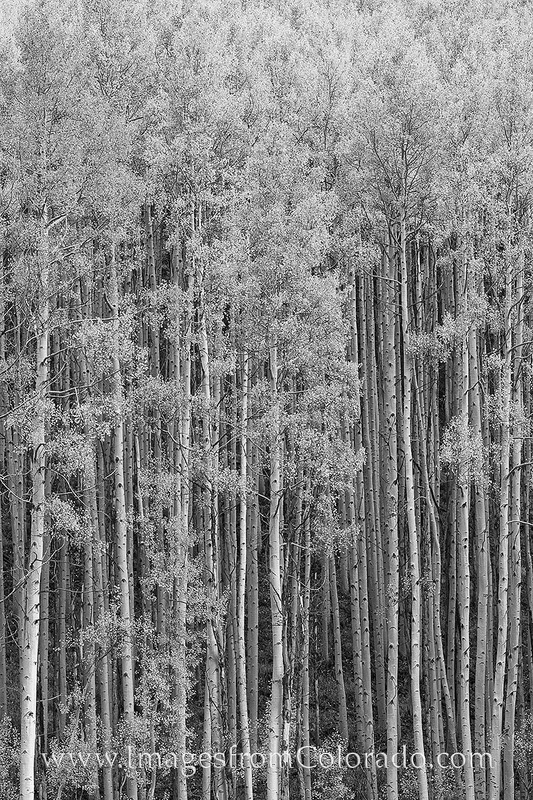 What photographing the aspen in autumn near Maroon Lake just outside of Aspen, Colorado, I came across the magnificent grove of perfect trees. This black and white image is the result of a moment frozen in time. Photo © copyright by Rob Greebon.